Hours: 16-20 hours per week, with potential for expanded need. Must be available Fridays. Job Summary: The Senior Bike Tech is to be a highly skilled and experienced bicycle mechanic responsible for educating The Bicycle Tree’s volunteers and clientele about bicycles and for evaluating, repairing, and pricing used and new bikes, parts, and accessories. 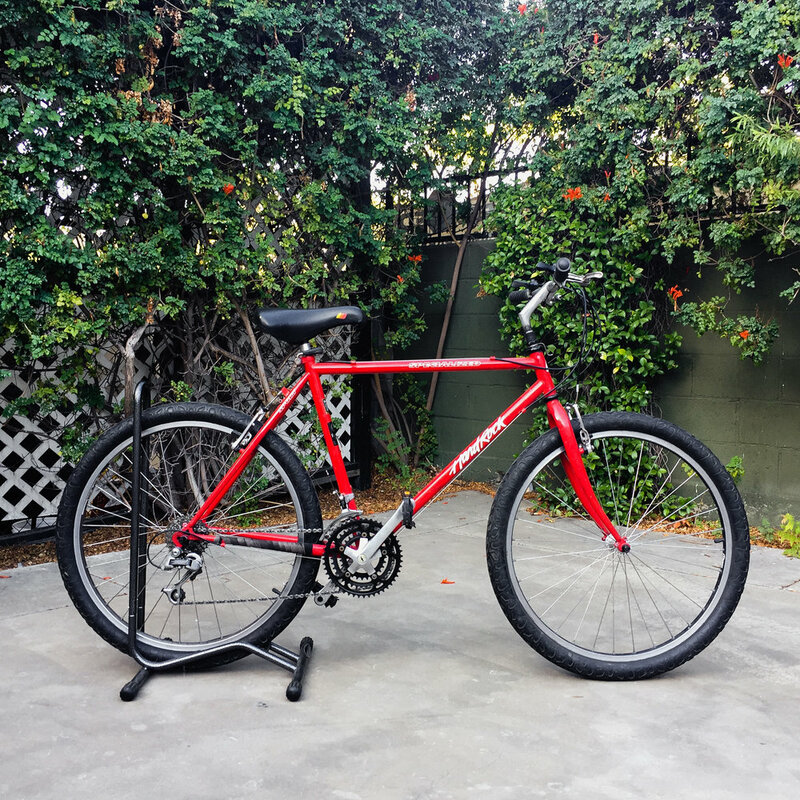 The Senior Bike Tech will collaborate to implement and maintain the systems of organizing inventory, and will carry out the advertising, sale, and shipping of merchandise online. 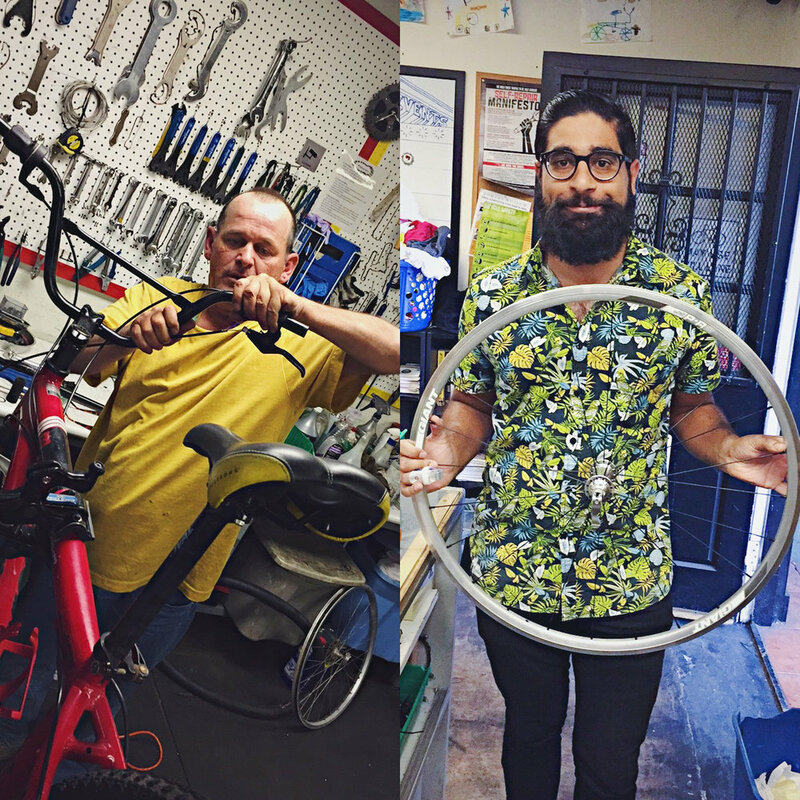 The Senior Bike Tech must be able to interact agreeably with a diverse clientele and volunteer base, and be able to multitask in a fluid environment where one’s attention may frequently be pulled in different directions. Ability to speak and write English clearly. Ability to communicate effectively with a wide diversity of people. 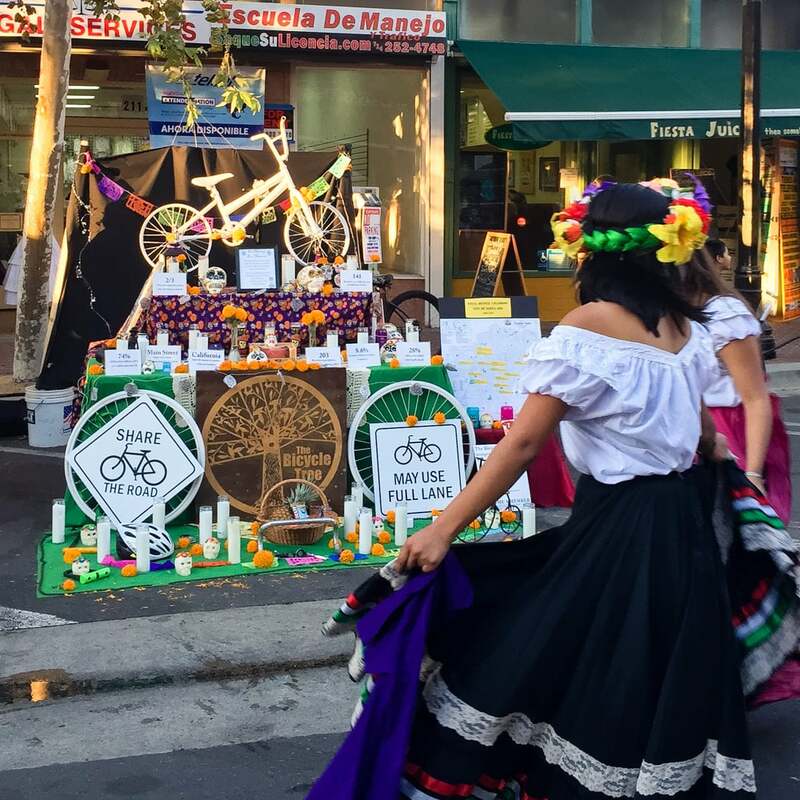 Knowledge and passion regarding bicycles and their social and environmental significance. Excellent practical knowledge of a wide variety of bicycles and parts (including those dating back to the 1970s and earlier). 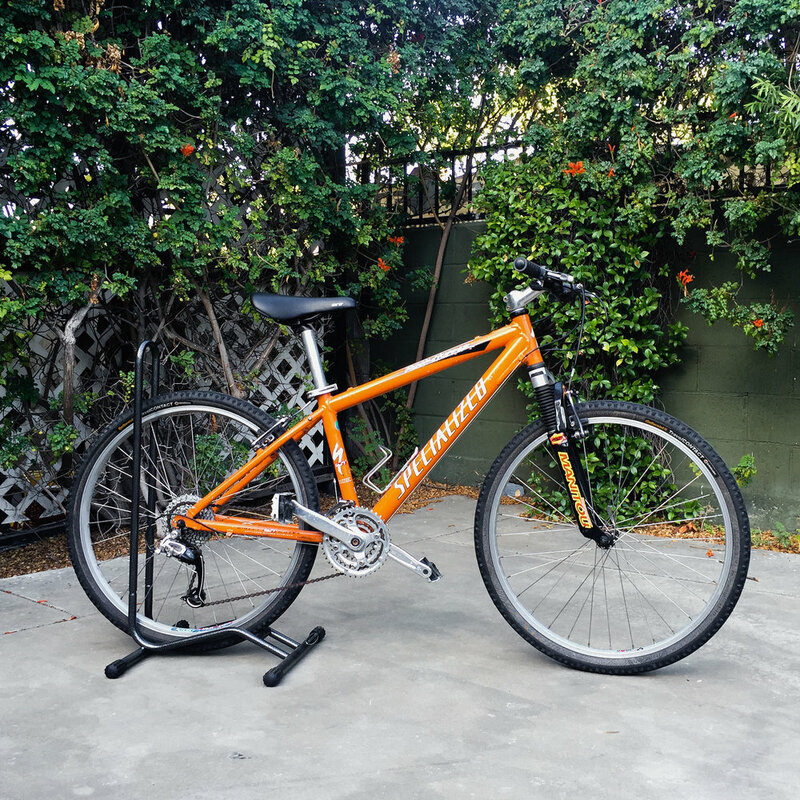 Ability to efficiently and accurately carry out the repair, overhaul, and maintenance of all types of bicycles, including wheel truing, bearing overhauls, derailleur adjustments, and brake service (including hydraulic disc brakes). Ability to clearly articulate mechanical concepts to others. Competence with inventory and retail management. Basic computer competency (to be used with online advertising platforms like Craigslist, eBay, and OfferUp, and collaboration tools like Google Docs and Trello). Conversational Spanish fluency strongly preferred. 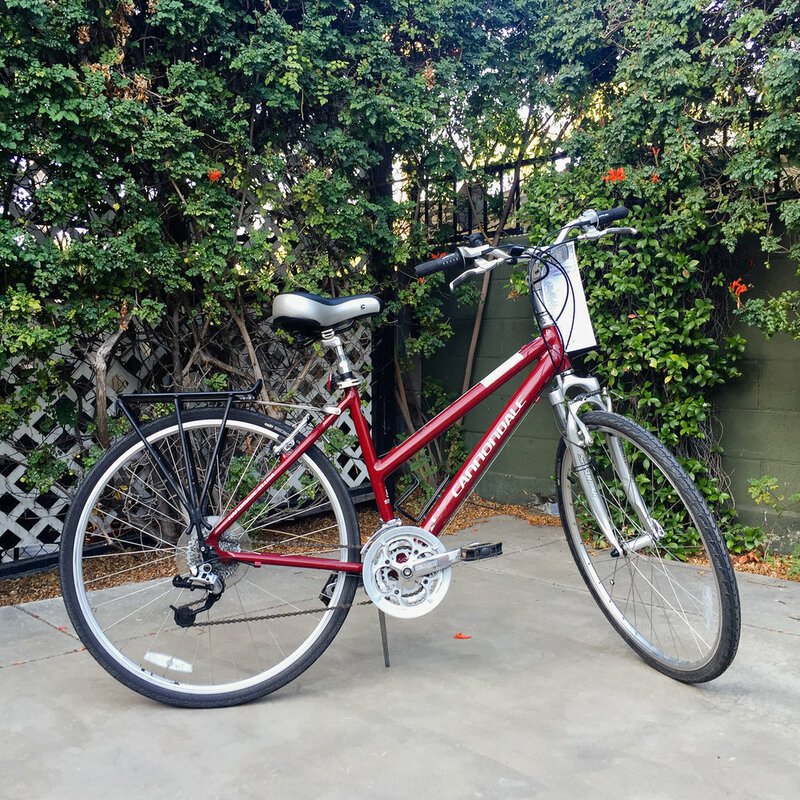 Able to ride a bicycle 20 miles or more at 10 mph or greater. Advising, implementing, and maintaining systems of organizing bikes, thousands of used and new parts, and accessories. Evaluating, repairing, and pricing bikes, parts, and accessories. Advertising and selling merchandise online (most items will be sold at the shop), packing and shipping select items. Yes! The lease has been signed and we've begun the planning and build-out of our new home! After what turned out to be an extensive 7-month search, we've chosen this great location at 17th and Flower, not far from Santa Ana College. In moving here, we are gaining about 40% more square footage plus much higher ceilings - more space that we will be able to utilize for storage, organization, repair, and other activities. With a lot of natural light, a roll-up door, convenient bicycle and auto parking, and a number of other helpful features, we feel this place has been worth the wait. We are remaining close to our previous Main St. location while now bordering the Willard, Washington Square, and Floral Park neighborhoods. We're eager to get up and running again soon so we can continue to serve the community and keep people rolling! We plan to reopen on Saturday, June 10th from11:00 am - 5:00 pm, doing repairs and having a bike sale. We will be having a grand opening celebration at a later date. We have a big task ahead, including building out racks and fixtures for bikes, wheels, frames, and parts, and moving in all the stuff from storage. 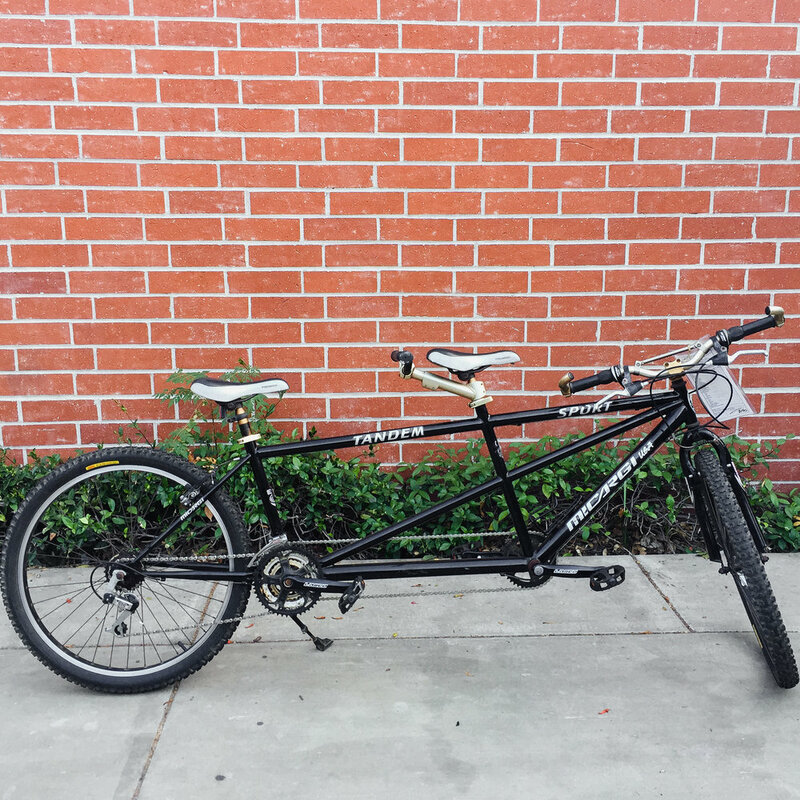 Please contact us by email at info@thebicycletree.org if you are able to volunteer your help with basic construction tasks, transportation, moving, or other tasks. We also need financial support to help us make this transition. Please donate here. On 3/2/17, we had our last open workshop day at our 811 N. Main St. location. To commemorate the occasion, we took portraits of every visitor and volunteer at our shop (or attempted to; we missed a few — it was busy!). Every day at our 811 N. Main St. location has been different, and special. The photos below are from just one day, but through them, we want to express our gratitude for the many thousands of visitors, volunteers, and supporters who've made our years at 811 N. Main St. so wonderful. Thank you for learning with us, thank you for supporting us, thank you for letting us be part of your community. We can't wait to see you again soon at our new, bigger and better location! Stay tuned here, or visit our facebook, our Instagram, our tumblr, or our twitter to hear all the news about our new location as we announce it. The book of The Bicycle Tree has just begun to be written! All photos by volunteer Heather, aka @ocisok. Another class of our Wrench and Ride bike education program has graduated! 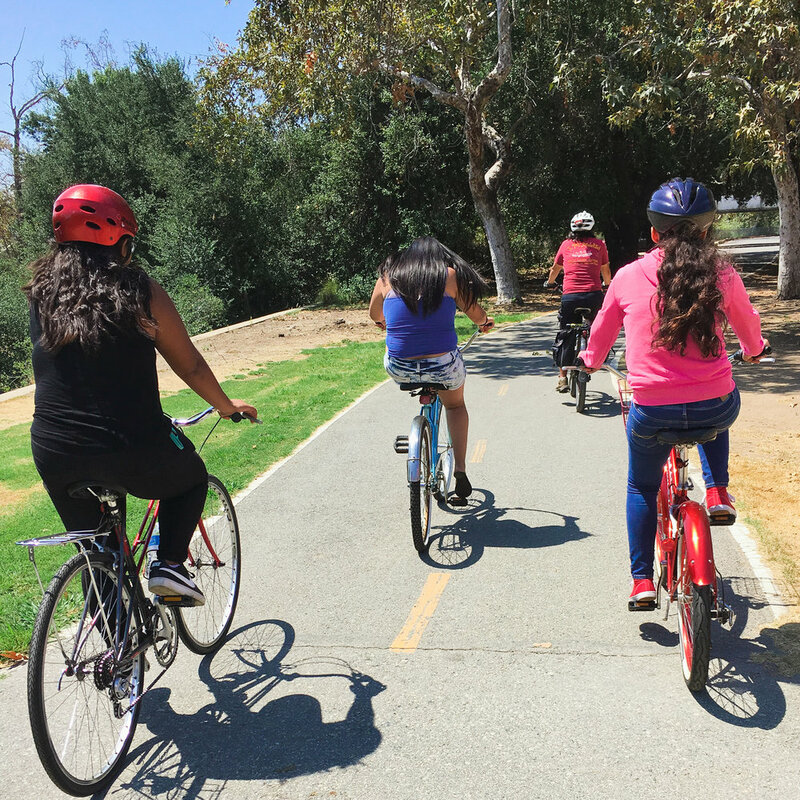 Wrench and Ride is our youth-focused bike education program. 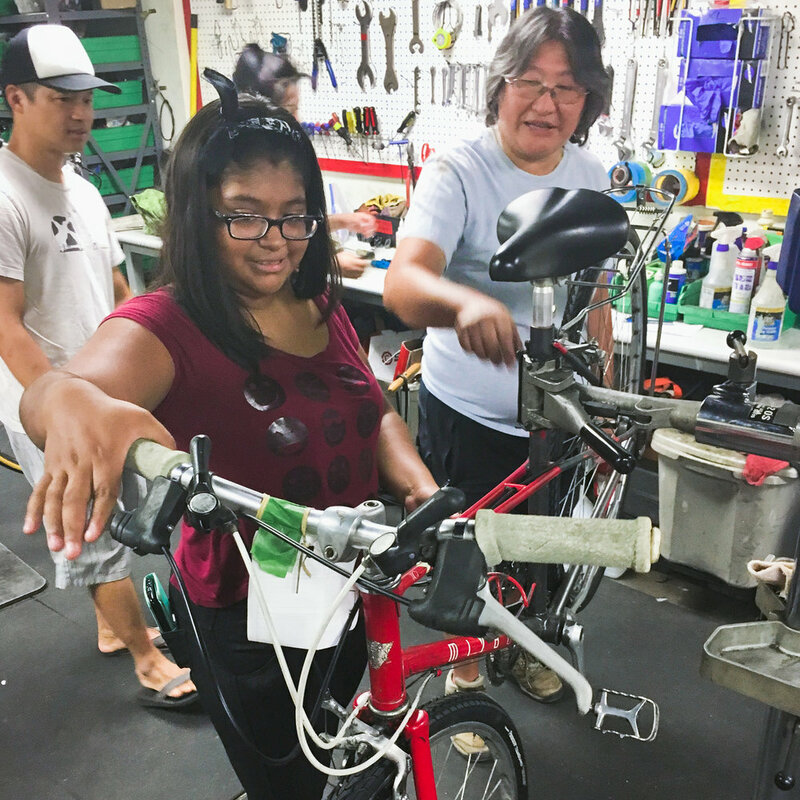 Through several weeks of classes, our students learn all about bikes and how to fix them through hands-on education. 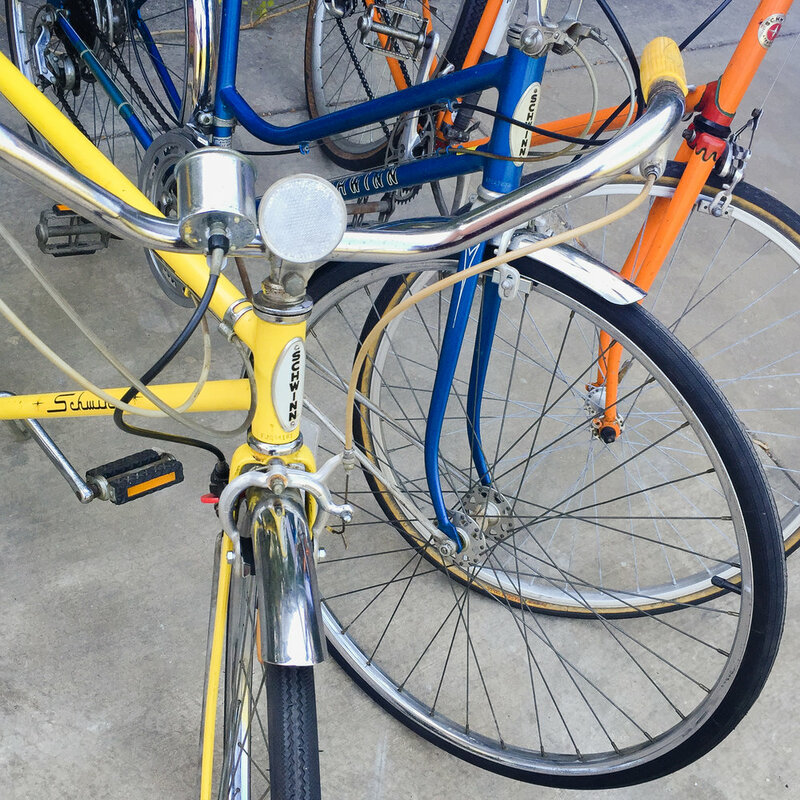 At the end of the classes, our participants get to keep their bikes, along with a helmet, a lock, and lights. After graduation, we all go on a group ride together! 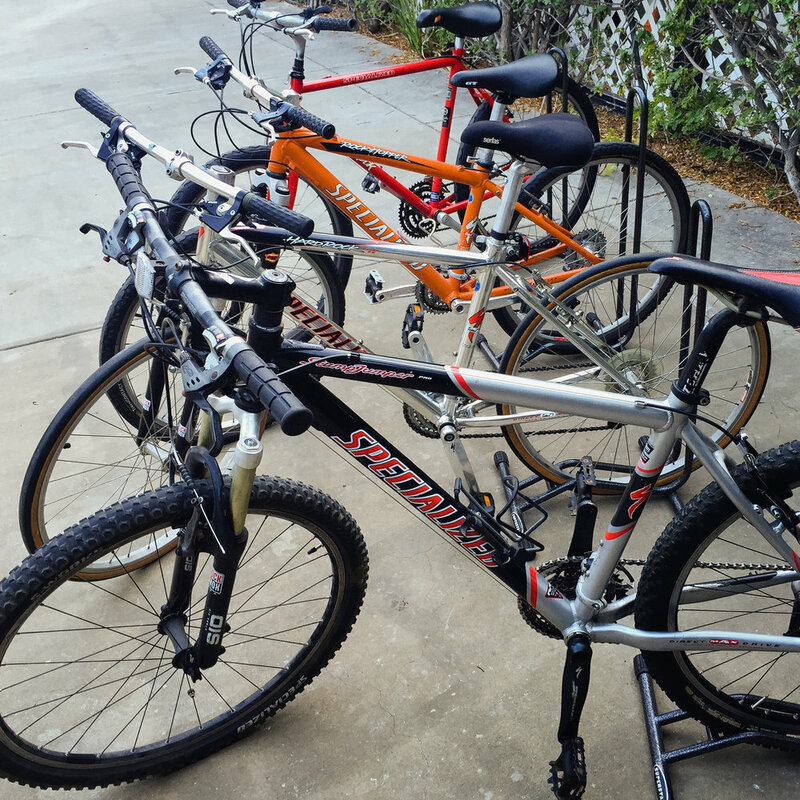 When you donate bikes or funds to us, our Wrench and Ride program is one of the main places your donation goes. Find out more on our Wrench and Ride page. Second Sundays group rides starting June! We’re changing up our Sunday Morning Rides! This change will give us space to make each ride that much more special, and to plan other additional events. Have questions, or ideas for destinations? 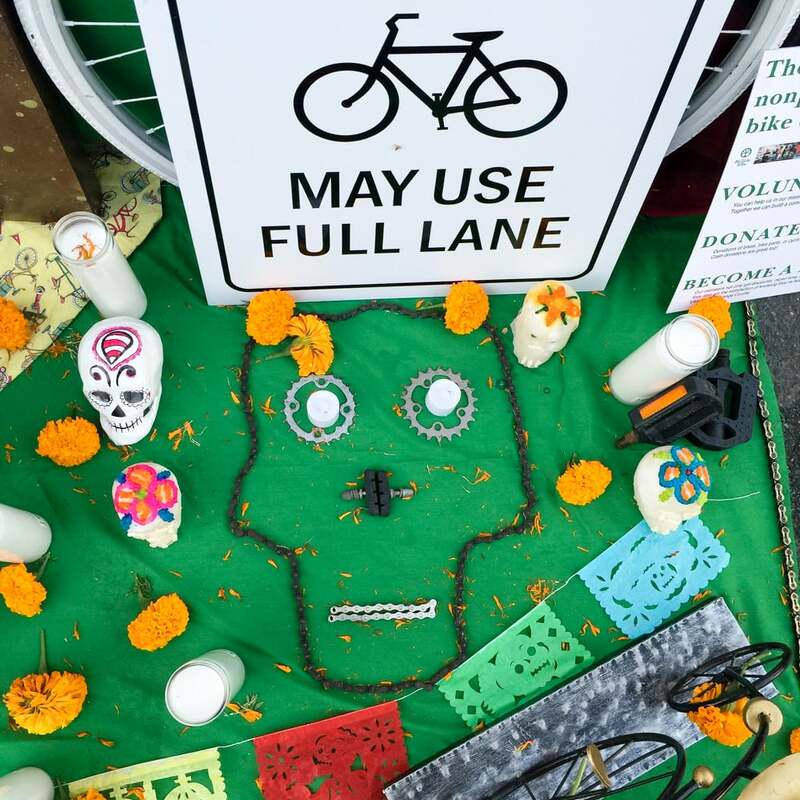 Send us a message, or email heather@thebicycletree.org. 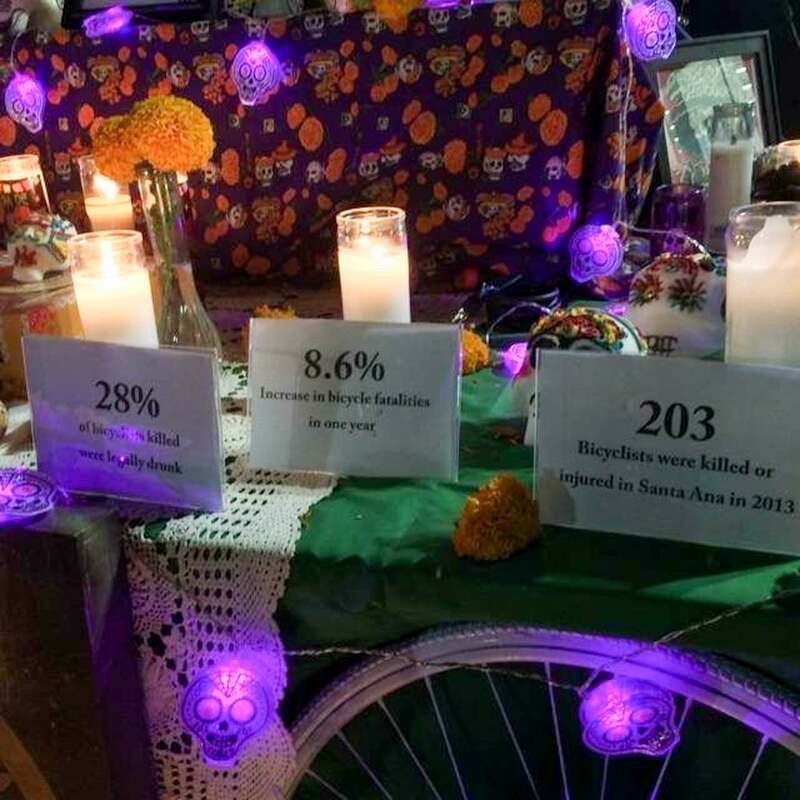 Help us continue our work making bicycling accessible, affordable, safe, and fun! Support our 2016 Fundraiser on Generosity! The Bicycle Tree started nearly ten years ago, holding open bike repair workshops out of houses and parking lots. 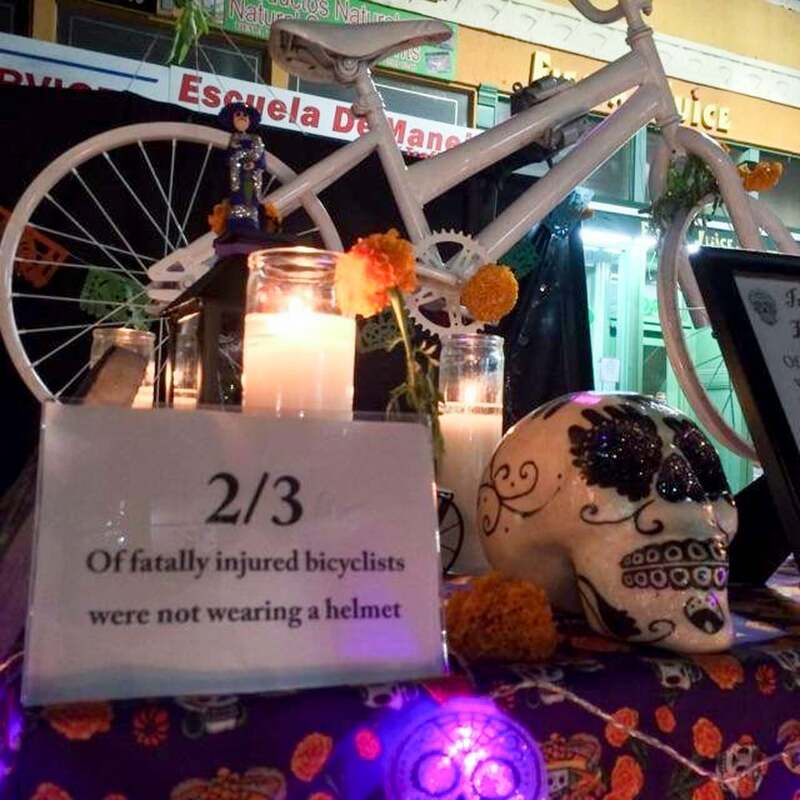 Almost two years ago, through the financial support of community members like you, we were finally able to open our own location in Santa Ana on January 25th of 2014 — Orange County's first and only non-profit community bike center. 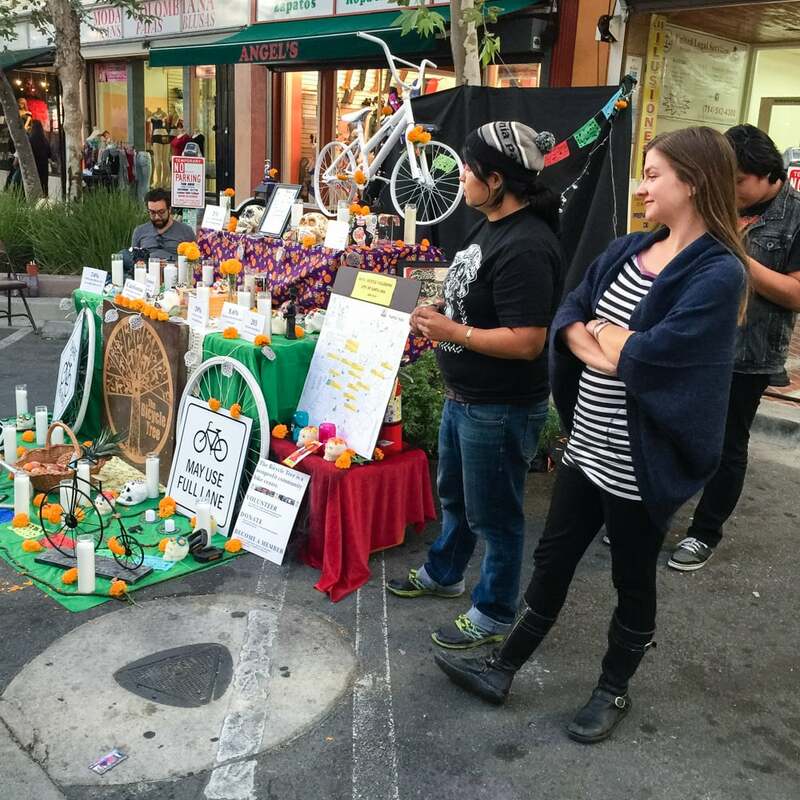 Most of what The Bicycle Tree does for the community is offered for free or low cost. Our work depends on the contributions of our volunteers and financial supporters. 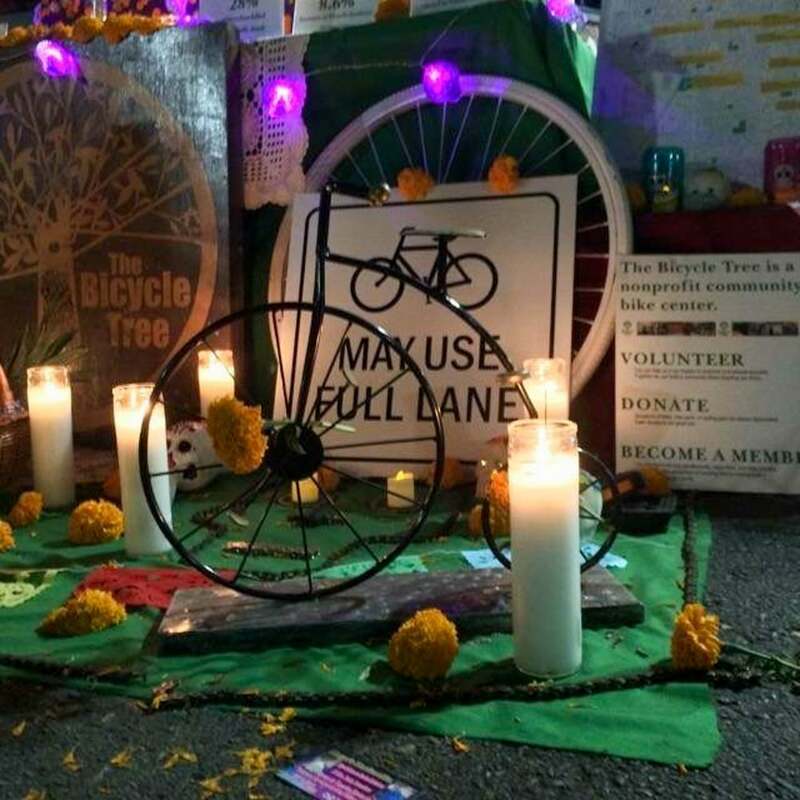 By donating, you can help The Bicycle Tree and our community continue to thrive for the coming year and beyond. Visit our campaign on Generosity here. 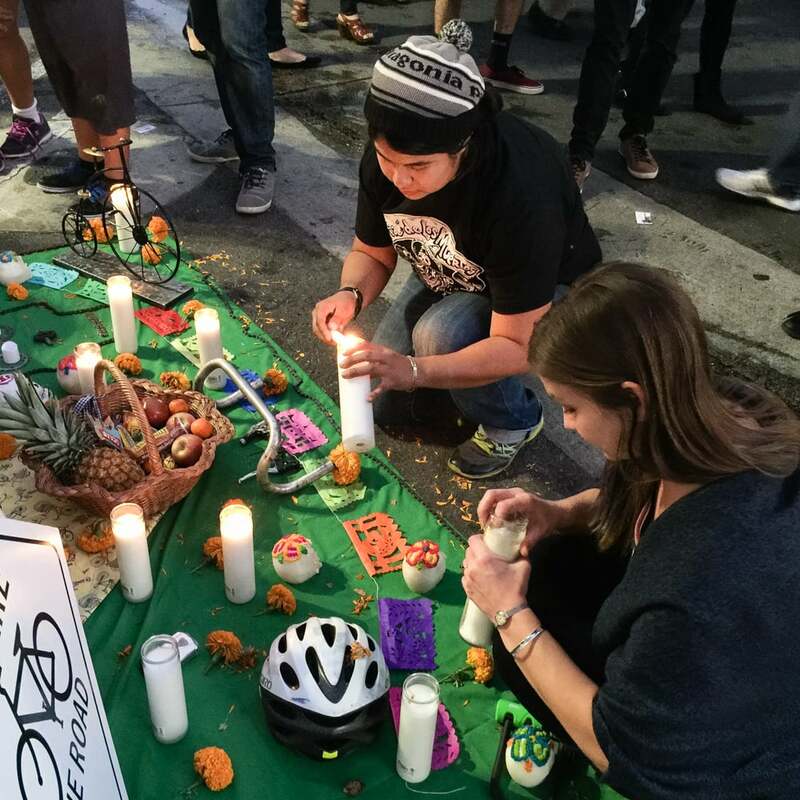 Every cent you donate will help us continue our work in making Orange County a better place to be a bicyclist.